Yeah, having a page about one's pets is about as hackneyed as you can get, but dammit I love 'em, so here they are. Brandy: When I was a boy I had a wonderful Saint Bernard named Brandy. This is her short story. Cozy: My Cozy left us in 2005 after we had to put her to sleep due to cancer. 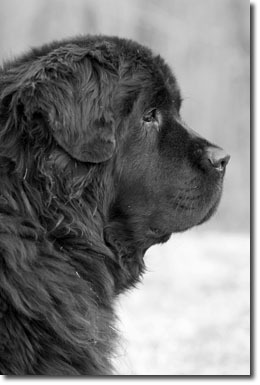 Daisy: Daisy, the Newf Net mascot. Otto: Otto the iguana from life before kids.